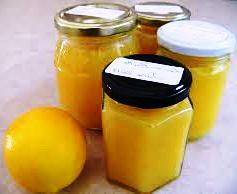 A neighbour makes lemon butter for a craft stall every year. Last year our lemon trees were pruned resulting in hundreds of excess lemons. Streetbank created the connection to get our excess lemons into her lemon butter. This year, due to last year's pruning, we had a much smaller lemon crop. The neighbour put the call out via Streetbank for our lemons and we couldn't provide directly. But through Streetbank and other social media we were able to source hundreds of lemons from "the next tier" of neighbours. These have now gone into the lemon butter and participants are receiving lemon butter recipes and lemon butter as "thank-yous" for their community activism. Streetbank is catalysing broader and deeper layers of connection!